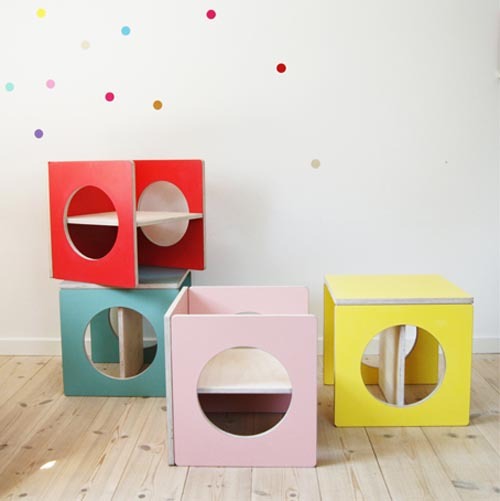 Danish designers Eglantine Charrier and Anja Lykke have developed this fun geometric range of children's furniture. 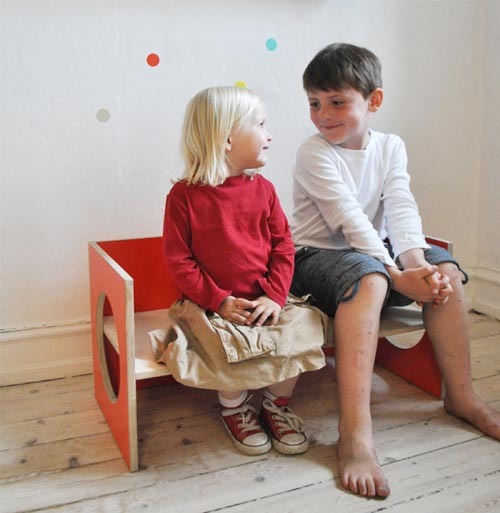 Inspired by the child's intuitive approach to their surroundings and play the pieces are made to be multi functional. 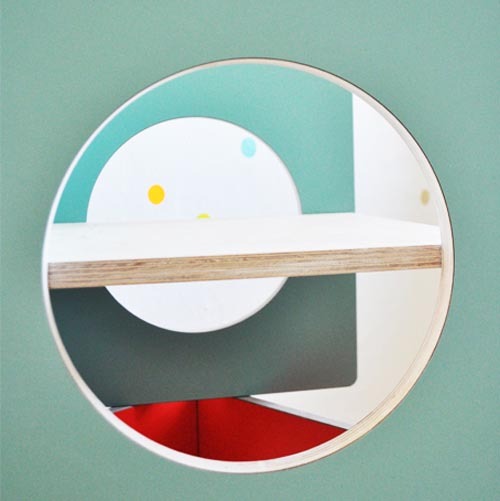 Simple yet fun, the designs come in a variety of carefully selected colour laminates and natural muted birch plywood finishes. 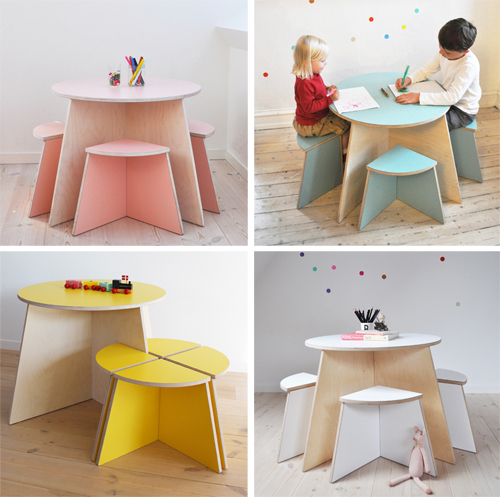 The circle table and seats above reflect a type of puzzle - with the seats mirroring the table. And then easily stacked away when playtime is over. All furniture from Small Design is manufactured by local Danish carpenters to ensure high production qualities are maintained. 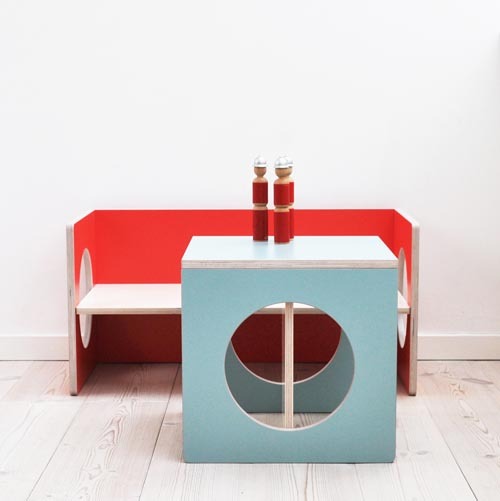 The Cube is a chair and table in one - easily turned and moved as wished. 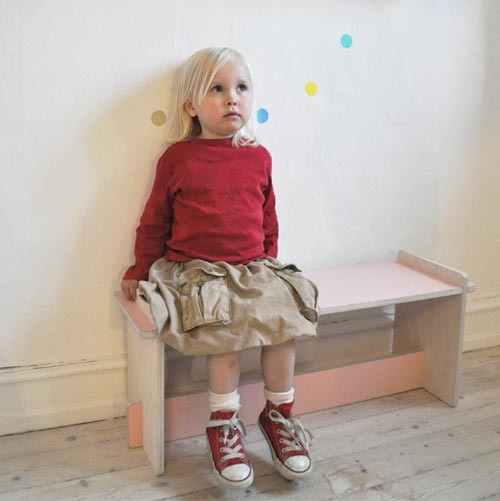 The Cube Bench below may be used as a seat or shelf. 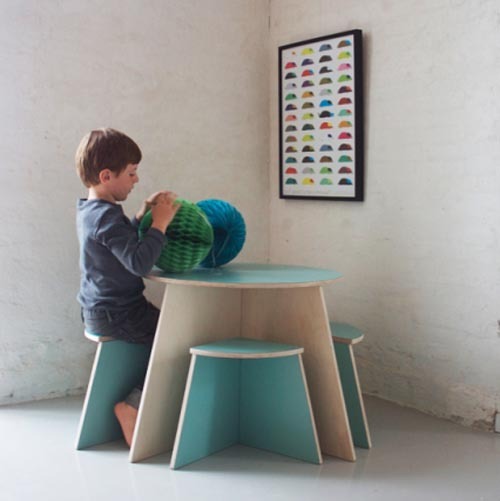 And again the Link Table and Bench below may grow with the child - becoming a table, then bench, then shelf for the bedroom. 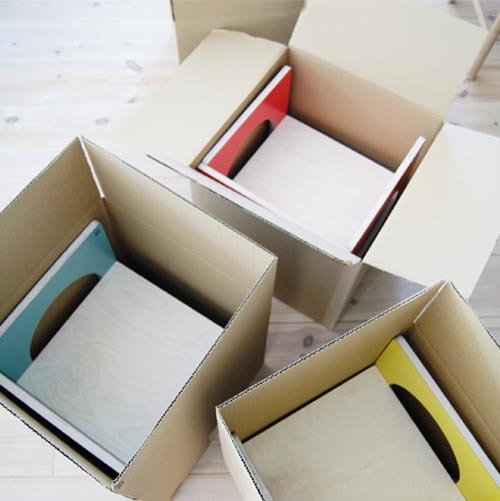 The furniture also becomes flat packed for easy delivery. 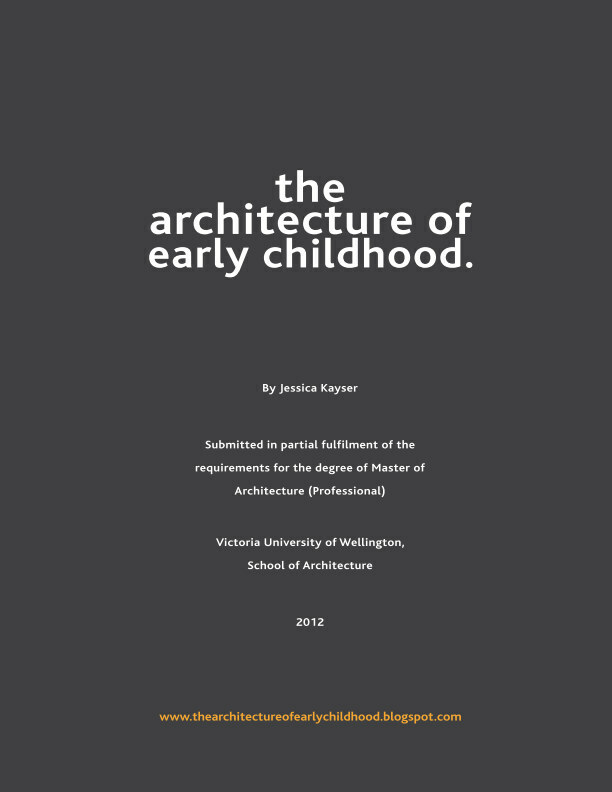 The designers have also worked with Lekolar to create these shelving partitions for early childhood centres. 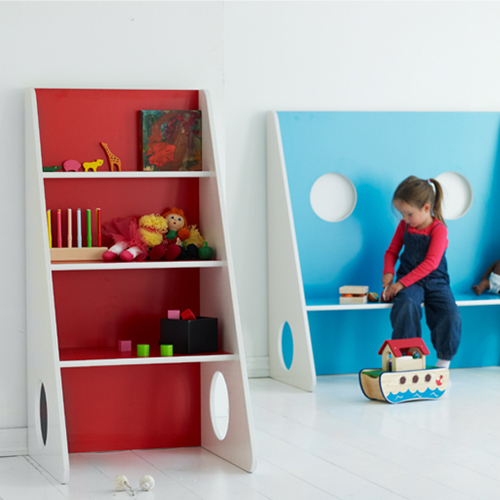 Combining function with play is a sure way to transform space into one that inspires fun and learning through play.